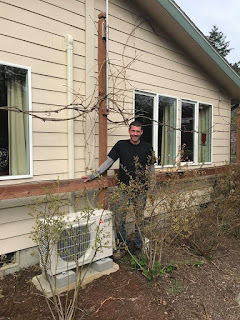 Receive a $2,400.00 instant Puget Sound Energy rebate on your new ductless heat pump system and potentially cut your cost in half like this valued customer. We installed a 15,000 BTU Mitsubishi ductless heat pump system in the living room, pointing straight down the central hallway of the home. The heating and cooling could easily reach other areas of the home, in addition to the central living, dining, and kitchen areas. The rebate cut the cost of installing the system by more than half. 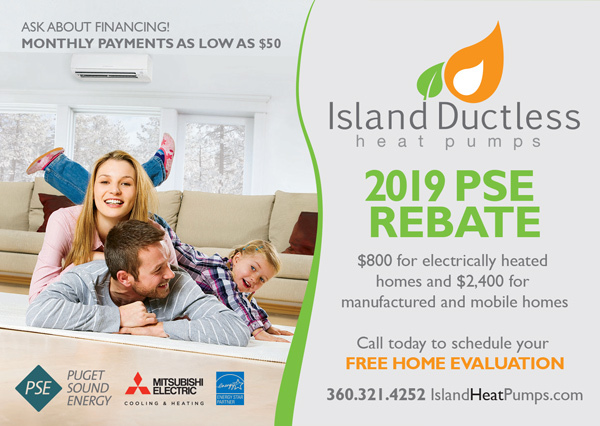 This investment will easily be returned to the homeowner in reduced bills for heating the home and improved comfort year round. Island Ductless Upgrades this Gorgeous Vacation Rental! This weekend home and vacation rental previously had no air conditioning and was using in-wall electric heat to keep the house warm during cold months. 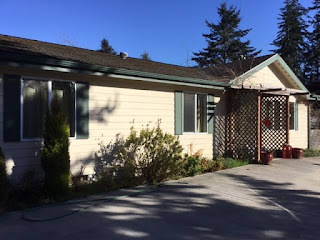 The client was looking for a more efficient safer system with the option to add air conditioning to keep the home comfortable for them and their guests year round. 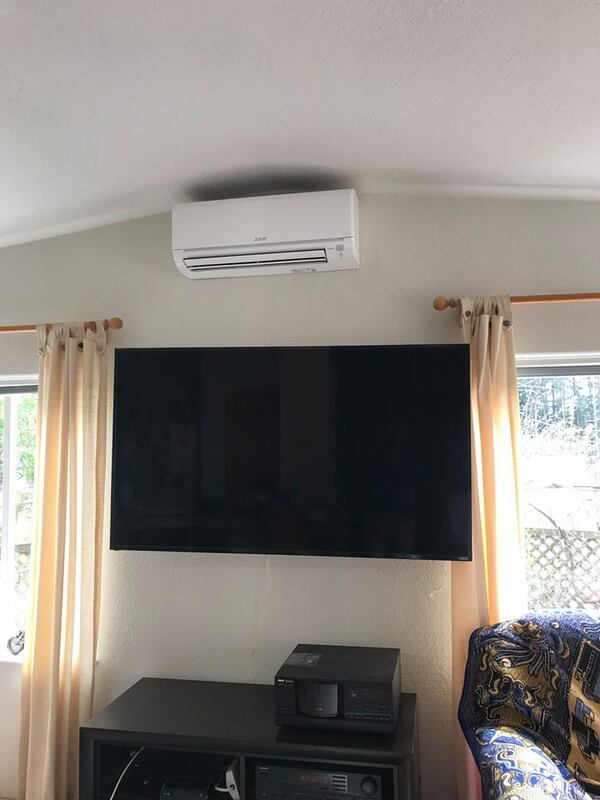 We installed a 24,000 BTU multi-head heating and air conditioning ductless heat pump, with two indoor heads to condition the areas of the home that were going to be used most often. We also installed two wireless wall mount thermostats, that the guests can use to easily operate the system. Once their guests left the rental, the owner now had the ability to raise or lower the temperature of the home remotely using his mobile phone! The homeowners love the comfort their new system provides them and their guests and the flexibility to remotely manage their system when guests leave their rental unit. Local, affordable, professional and experienced. Serving all Whidbey Island and Fidalgo Island communities including Anacortes, Clinton, Coupeville, Freeland, Greenbank, Langley and Oak Harbor. Call 360-321-4252 for an estimate.